NOVEMBER 22nd! 7PM! MOUNT PLEASANT NEIGHBOURHOOD HOUSE! POGS PROVIDED FOR ALL PLAYERS! EMAIL SLAMFORHOPE@GMAIL.COM TO RESERVE A TOURNAMENT SPOT! SLAM FOR HOPE is Vancouver's annual charity pog tournament. See rare and exotic pogs and slammers. Raise money for BC Children's Hospital Foundation. Meet legendary champion pog players. And after it's over, walk away with your new personal pog collection. First, you do not need to bring pogs yourself! We have literally thousands to pick from. But if you have a set you want to slam with, bring it in! This year, we'll have two tournaments: individual and corporate. Individual is one-on-one fast-paced hard-slamming pog action! We've got prizes & glory for the winners. Entry fee is $15, all of which goes to BC Children's Hospital Foundation. If you get more pledges from supporters, that's great cause we'll also have a prize for biggest individual donator! Corporate is tag-team rumble, two players each representing some of Vancouver's best companies! Come and fight for your neo-corporate overlord's honour. Entry fees are also $15, with the highest-donating team getting a special award too! You can compete in both individual and corporate tournaments. Why hold a pog tournament now? Well, part of it is to raise money for BC Children's Hospital Foundation. But maybe it's just that the time of pogs has come again, inevitably, unstoppably. 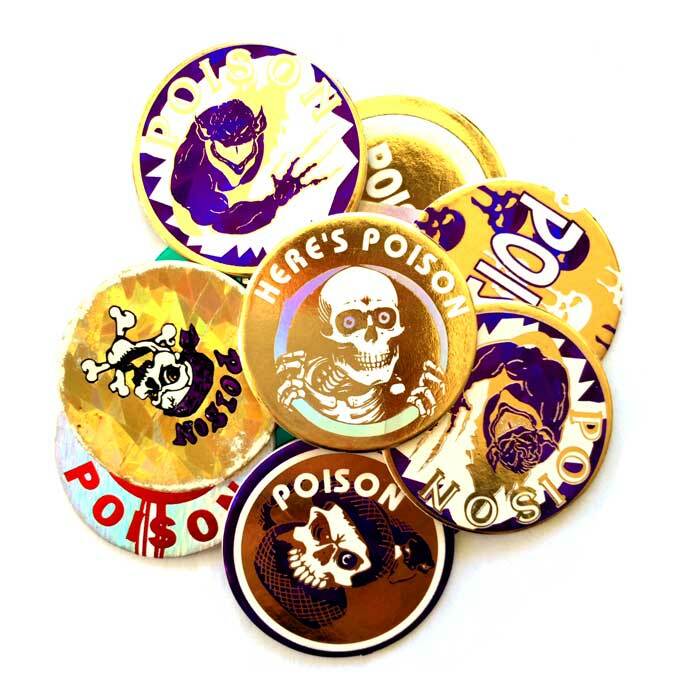 When pogs hit twenty years ago, they hit hard. Popularized by the Canada Games Company, cardboard circles covered with every image imaginable burst through playgrounds and malls, enrapturing kids. Schools banned them, people fought over them, every brand had them. But as suddenly as they rose, they fell, forgotten, left in closets and basements, soon to be remembered solely from a scene in the Simpsons. But for kids of the 90s, they still have a place in our collective nostalgia unconciousness. And now, the prophecy is fulfilled: pogs are rising again from the ashes, like a beautiful shiny phoenix. Why did they grab hold of us? Perhaps it was our favourite licensed characters smiling up at us from those little circles. Or maybe it was the raw coolness of poison skulls and eight-balls. Maybe it was just the ownership of images in that pre-digital paper-based world. 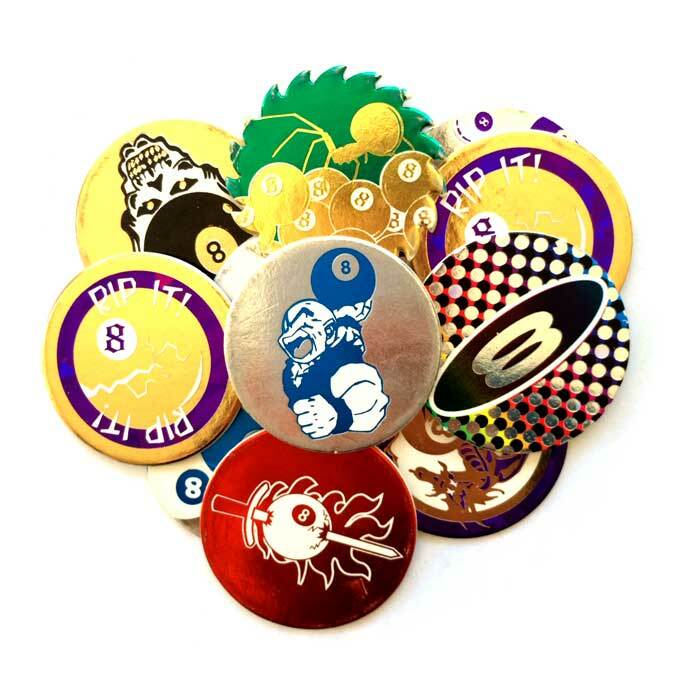 Pogs offered prestige cheaply, and kids bought them with all the fevour of an millionaire art collector. If Andy Warhol had been around during the pog era, there's no doubt he would have made his own artful line. Crass and ultra-commercialized, yet infinite in scope and cheap to produce, pogs were the ultimate post-modern children's game. Slam For Hope is an event organized by Steven Masuch. © 2018 and all that.